The Scandinavian style lighting complemented by a mid-century color palette along with the rounded edges throughout the aker gives it a soft modern look. 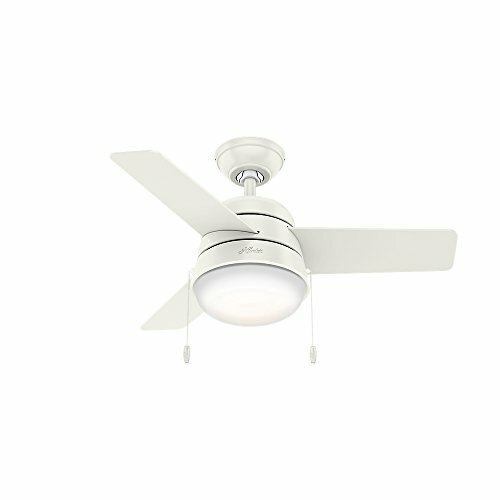 With a 36-inch blade span, this petite Fan is perfect for small spaces like home offices, hallways and even bathrooms. But don’t let its size fool you: this modern ceiling Fan packs a punch when it comes to airflow and keeping you cool.